Ongoing training and development is incredibly important to us. 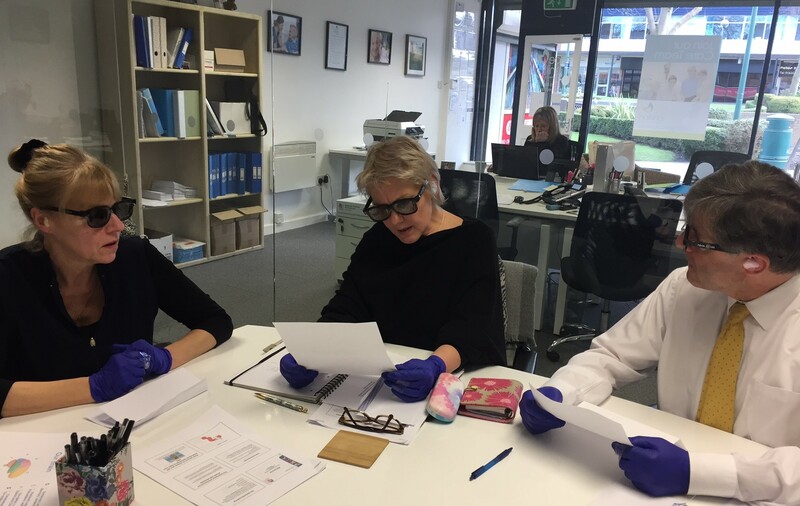 One of the areas we are keen to ensure that we have the relevent knowledge and expertise in is Dementia care, which is why we have invested in training for our team. Over the coming weeks Michele, our Registered Care Manager, will be rolling out a series of in-house 'Dementia Care' workshops for our team. The training has been specifically designed for home care workers by the UKHCA & Alzheimer's Society. The aim of the workshops is to ensure best practice in order to deliver high quality care for our clients who have been diagnosed with, or who are at risk of developing dementia whilst recognising that everyone's experience of dementia is different. The workshops include a 'virutal reality' session to stimulate visual and hearing impairment, peripheral neuropathy and an element of sound distraction to evoke a sense of confusion. These sessions are designed to increase the understanding of how to communicate with individuals with impairments brought on by Dementia.